Choosing legal representation can be a difficult decision in the aftermath of catastrophic injury, while medical bills mount and families try to focus on physical recovery. Teaming up with the best accident and injury lawyers can make a world of difference in the days and weeks following an accident. Ellis Injury Law goes beyond the normal duties of a legal office to connect clients with the best medical care providers, cover transportation to medical appointments, and lending investigative muscle to provide plaintiffs with immediate answers as to what really happened. Sacramento Personal Injury Attorney- Andrew L. Ellis Andy Ellis is one of the most successful Personal Injury Lawyers in California. Meet Mr. Ellis and find out how he helps his clients who have a personal injury case. http://ellisinjurylaw.com. Ellis Injury Law has long stood as a staunch protector of the rights of those who have sustained serious harm due to the negligence of others. From car accidents to premises liability matters, every personal injury attorney at the firm is committed to providing the aggressive legal advocacy necessary to obtain maximum financial compensation for victims and their families, whether through settlement negotiations or court appearances. Thanks in large part to the unwavering leadership of renowned California litigator Andrew Ellis, the firm is widely recognized as being among the most successful in the state, securing over $350 million in jury verdicts and negotiated settlements. Personalized client service and a track record of results are what help us stand out in the crowded field of personal injury lawyers. We are ready and willing to pursue monetary recovery and justice for those we represent. Contact one of our 20 convenient California locations today for a no-cost, no-obligation case review. A bedrock principle of our practice is a belief that lack of financial resources should never be a deciding factor in whether or not fairness and accountability can be pursued in the aftermath of negligently inflicted harm. 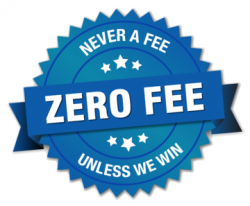 Thus, we take on clients on a contingency fee basis. This simply means that those we assist will never owe legal fees unless we succeed in securing damages in a verdict or settlement in their case. In doing so, we help ensure that no victim need ever hesitate in seeking zealous advocacy following a serious injury event. Inevitable costs associated with a case include copying fees, court filing fees, postage, and long distance phone calls. Additional expenses include taking depositions, hiring investigators or experts, trial exhibits, and scheduling special court proceedings. Before we get started, we’ll discuss these costs with you and draw up an agreement in writing, so there are no surprises. Many clients feel most comfortable setting a dollar limit for additional expenses. If we reach the limit, we’ll seek your approval before spending further. At Ellis Injury Law, our attorneys handle a wide variety of cases, ranging from minor injuries, to catastrophic loss. The most common calls we get are for the thousands of car, truck, and bus accident victims with injuries ranging from broken bones and whiplash, to quadriplegia or death. Our firm has the experience and the resources to help victims in a variety of cases. Premises liability slip-and-falls, workplace accidents, defective devices and drugs, and wrongful death are all cases we routinely represent. We do not shy away from the tough, complex, or aggressive opponents. Insurance companies, medical complexes, and big business know our reputation as aggressive trial attorneys with a track record of substantial wins. Not surprisingly, the majority of defendants opt to offer a settlement before the expense and humiliation of a public trial, where their reckless, negligent conduct is exposed. What makes Andy Ellis and his team the best accident lawyers for your case? We are committed to personalized service and individual attention. We fight for the maximum settlement value for each case. Andy Ellis was voted the best car accident attorney in Los Angeles in 2017. The achievements of Ellis Law Corporation have been recognized by Best Lawyers. We are elite members of Super Lawyers and Multi-Million Dollar Advocates Forum. All prospective clients receive FREE case consultations and reviews, with no fees owed unless we win. Plaintiffs have received cash for their injuries in as little as 48 hours. As a member of Lawyers of Distinction, Andy Ellis is among the top 10 percent of US trial attorneys. We help victims pay medical bills, secure rental cars, find treatment, and get to doctor’s appointments. We have a 10/10 rating from AVVO, based on experience, reviews, publications, and disciplines. Plaintiffs are in great hands, no matter who takes the lead on the case. Senior Partner Andy Ellis arrived at the firm with the hard work-ethic and discipline of an armed service member and a JD from Loyola. Though cordial, he prides himself on relentless determination. Over the past 30 years, he’s singlehandedly won more than a quarter of a billion dollars for clients. Partner Lorena Espinoza specializes in issues affecting immigrants. Associate Britt Karp graduated with honors and won national competitions prior to joining our practice, where she specializes in complex cases with catastrophic injuries. Associate Justina Ramon is an expert in motorcycle accidents, product liability, and other serious injury cases with devastating injuries, with extensive experience in both state and federal courts. Counsel Alyson Marchiondo has been with us for nearly two decades, but brings years of experience with competing law firms to the table. Insurance companies are notorious for rejecting claims, denying the severity of injuries, and low-balling settlement offers. The American Association of Justice explains that insurers are in the business of raising premiums, denying claims, and refusing insurance to those who need it most. In other words: they’re in the business of making money. They reported: “Those that accept the lowballed settlements are treated with ‘good hands,’ but may be left with less money than they need to cover medical bills and lost wages. Those that do not settle frequently get the ‘boxing gloves’: an aggressive litigation strategy that aims to deny the claim at any cost.” Agents are directed to “deny, delay, and defend.” We are not intimidated by these tactics as we build strong cases to overcome resistance. Because we pride ourselves on responsive client service, comprehensive representation, candor and communication, those represented by Ellis Injury Law can rest assured that they will be equipped with the factual foundation they need to fully participate in their cases and make informed choices about their options. Though all efforts will be made to obtain a negotiated settlement early on in the process, the attorneys of our law firm are never afraid to bring their extensive advocacy talents to the courtroom. The vindication and protection of victims’ rights is work we are privileged to do. To that end, we routinely collaborate with a wide network of case investigators, physicians, economic loss experts, engineers and support personnel to conduct exhaustive factual investigations and build the most persuasive cases possible for our valued clients. Andy Ellis and his legal team are particularly renowned for their success in Los Angeles motor vehicle accident cases. It takes a lot of resources to build these cases. Courts look to testimony from reputable accident investigators, exhibits from crash reconstructionists, verification from police officers, cost analysis from medical claims adjustors, and depositions from eyewitnesses. Our clients have access to the best network of respected professionals to substantiate facts surrounding the case. $3 milion for a Fatal Los Angeles Truck Accident, where the driver fell asleep at the wheel. $2.9 million for Life-Threatening Injuries after the defendant unsafely changed lanes and fled. $2.4 million for a Rear-End Collision that caused soft tissue damage and neuralgia. $1.4 million for an LA Truck Accident causing neck and lower back injuries. $750,000 for a Spinal Cord Injury when a company-owned truck collided with the plaintiff. $350,000 when a City Garbage Truck Ran A Red Light, injuring an elderly man’s neck and back. Situated at the picturesque meeting of the Sacramento and American Rivers in the north of California’s Central Valley, this historically-rich state capital truly does offer something for everyone. With an enviable array of cultural offerings, educational institutions, parks and landmarks, it is no surprise that this area is the fastest-growing large city in the Golden State. The Ellis Injury Law firm’s easily accessible office is centrally located in the Bank of the West Tower at 500 Capitol Mall. This high-tech workspace is in the heart of the central business district. Standing 25 stories high with an eye-catching steel and granite exterior, it’s impossible to miss. Not only will clients find ample parking in the 10-level parking garage, but they can also grab lunch at Specialty’s Café and Bakery, get a workout in at the fully-equipped fitness center, or just enjoy the panoramic views from the upper levels. We’re just a couple blocks from the federal and county courthouses and State Capitol building, which makes it easy to conduct business there. If driving, plaintiffs can easily reach us from anywhere in California by the Golden State Highway, the Tower Bridge Gateway, and the West Side Freeway. If arriving by public transit, one can get off at the 7th & Capitol Light Rail Station one block away. Choose a Law Firm with an Unmatched Track Record of Success: $350 Million for Our Clients and Counting! Our attorneys have a 99% track record of success when we accept a client’s case. Despite taking on a wide variety of claims, our lawyers have the knowledge, legal acumen, experience, and resources to win. $4.1 Million for a Propane Cylinder Explosion causing serious burns and scarring. $1.25 Million for a Wrongful Death Settlement involving a police officer. $865,000 for a Slip-and-Fall Accident at a movie theater concession stand. $220,000 for Premises Liability case involving poor lighting and a head injury. $190,000 for a Slip-and-Fall on an unmarked wet floor at work. $125,000 for a Car Accident resulting in shoulder, chest, and neck injuries totaling about $37,000. To see more verdicts and settlements, please visit our Results page. Losses stemming from unexpected accidents can leave entire families on the brink of disaster. Fortunately, victims can rely on Ellis Injury Law to take the fight directly to those responsible. Plaintiffs can count on us to engage defendants in a tireless quest for full and fair compensation. Hard injuries (like fractures) were sustained. Medical costs, out-of-pocket expenses, and lost wages were high. A lengthy recovery resulted in significant pain, suffering, and loss of enjoyment in life. Sometimes it helps to have a general “ballpark” idea of what people get for lawsuits. One report by Jury Verdict Research found that the average money damage award for trials in California is just over $1.8 Million. However, the median verdict – perhaps a better statistics – was $114,305.The majority of injuries in California were neck and back strains (valued around $10,000), which tended to pull the state median and average verdicts down. Wrongful death cases in California were valued at a median of $2.2 million. In general, California juries were much more sympathetic than juries in other states. All states have a “Statute of Limitations” – in other words, a deadline – for when a plaintiff can file a injury claim. California’s Statute of Limitations is two years from the date of the accident. Medical malpractice claims allow up to three years from the date of injury OR up to one year from the discovery of injury, since some medical complications do not manifest immediately. Other exemptions apply for minors, birth injuries, mentally incompetent plaintiffs, and wrongful death claims, so plaintiffs are encouraged to contact a California attorney to know for sure if their claims for legal and just compensation are still viable. The vast majority of personal injury cases (80-90 percent) settle outside of court, rather than proceeding all the way to trial. This is the best decision in most instances. Settlements can be offered in as little as days or months from the time of the accident, leading to a faster resolution. Negotiations are less stressful than full-scale trials, less expensive, and less public. The perception is that trials yield much higher dollar amounts, but that is not always the case. Having an experienced attorney helps plaintiffs understand whether they are being offered a fair settlement amount so they can make the right decision on how to proceed. If a case does go to court, the average trial lasts between three and 10 days. However, it takes an average of a year to prepare the case for trial. We will assemble all the expert testimonies, documents, exhibits, eyewitness reports, and investigations necessary to win in court. Anyone who will be testifying is extensively groomed by our legal team to give a truly compelling performance. We also routinely use focus groups to anticipate how juries may react and effectively prepare for the big day in court. Our office affords prospective and current clients alike the ability to meet personally with a lawyer who is eager to assist you in getting the compensation you deserve. Free, no-obligation case reviews are offered to all prospective clients. Contact us now to discuss your legal options. If you’ve been injured in a car accident, suffered an injury on someone else’s property or been hurt in a slip and fall accident, you have the right to take legal action. A Sacramento personal injury lawyer will make sure that you are equipped with a knowledgeable lawyer that will fight for the settlement you deserve.